Pure Fun Trampolines - Trampoline for Me! 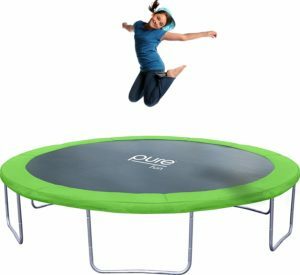 Pure Fun is an American manufacturer based in Texas and they build a solid portfolio of trampolines and some other backyard toys, usually for kids. Now, that doesn’t mean that adults can’t use them, of course. 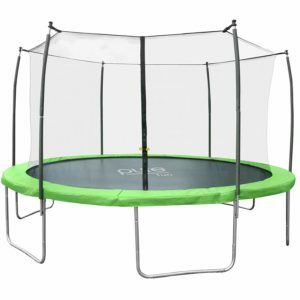 Their trampolines are durable and offer good value for your money, so they are definitely worth a shot. Check it out below! So, this one has 6 U-Shaped legs, which means your trampoline won’t shake when you jump, rather it will stand firm and tall and you won’t be able to tip it over. Not only that it is safe when it stands, but it also comes with a safety enclosure that is made of UV-resistant mesh fabric with elastic net straps sewn in. 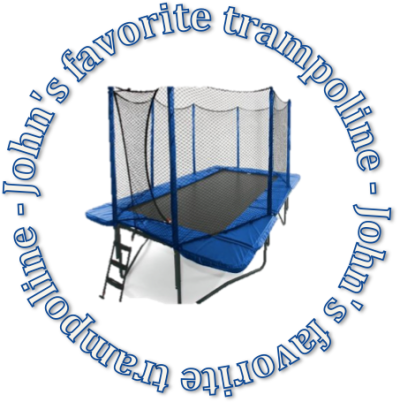 This means that your kids can jump on the trampoline with their peers without worry about falling off. As usual, the mat and safety pads are UV resistant, frame and springs (108 springs! WOW) are rust resistant, so it is durable and made for outdoor use. Also, as its name implies, it is 15ft in diameter. 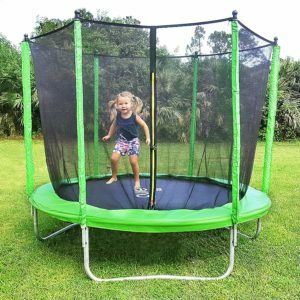 Now, the advantage of this trampoline is that the enclosure entrance is designed with a secure zipper and buckle so it can be perfect for beginners. Also, since it provides a very, very good bounce you can jump really high on this one, trust me. And since there are a good bounce and safety net, it makes a good basis for learning new things – if that is your goal, that is. Now, it comes with a 350 pounds max weight on it, but my neighbors say that it can hold up to 400 pounds. You can trust them, they had this one for quite some time. Oh, while we’re at it, it is that durable. Assembly is easy, instructions are really clear and as with others: you’d probably want to buffer a couple of hours and arrange for a helping hand because this is definitely a two person job.